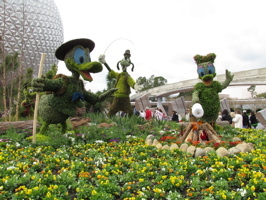 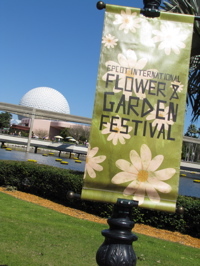 Here is the second part of our Epcot International Flower and Garden Festival update. 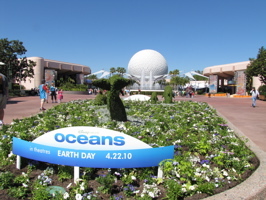 A few days ago I posted photos of Future World from opening day, and we went back twice over the past few days to get pictures from World Showcase (as well as the Festival Center). 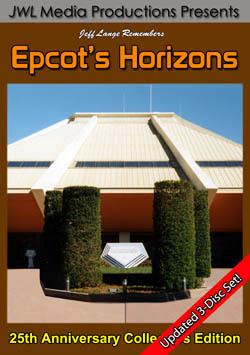 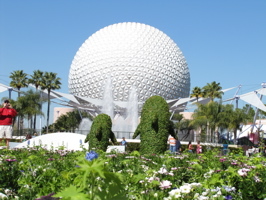 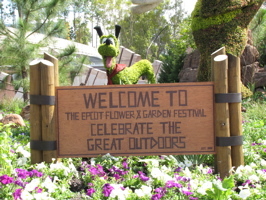 You can see Spaceship Earth (below, left) beyond one of the Epcot Flower and Garden Festival signs. 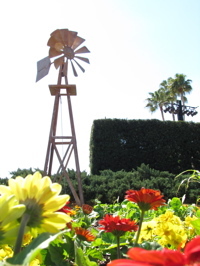 A windmill (below, right) helps complete the Mickey and Minnie topiary set at the front of World Showcase (below, right). 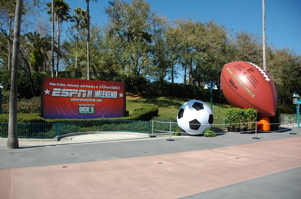 I had the opportunity to go to my first ESPN The Weekend event, it was really a great time! 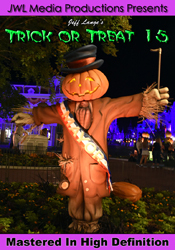 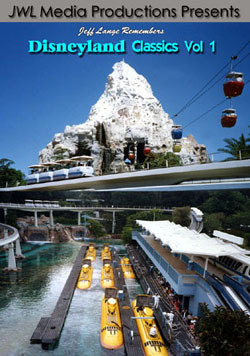 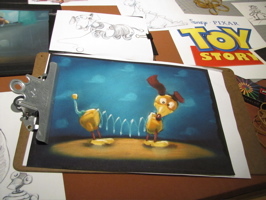 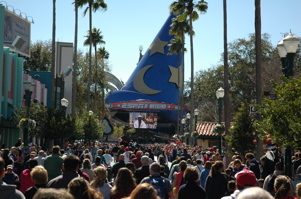 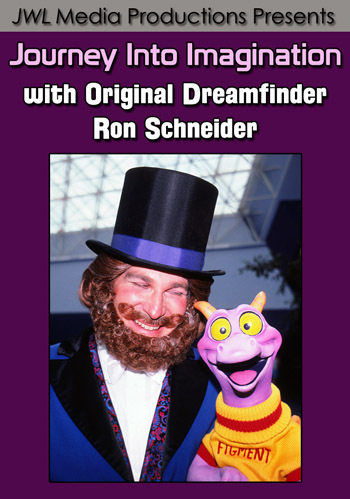 The theming starts from the time you arrive (below, left) and the stage in front of the sorcerer hat holds a variety of events during the weekend (below, right).